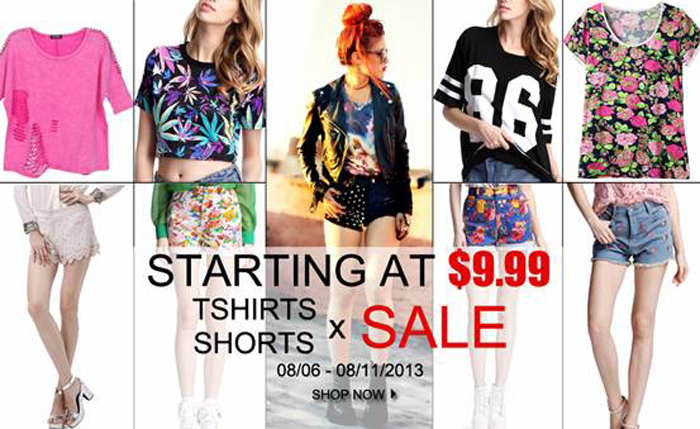 ROMWE Shirts & Shorts Sale! Romwe have so many great pieces that's perfect for mixing and matching! Now, a big sale is happening tomorrow, August 6 til August 11, 2013. Shop these shirts and shorts on super sale: Dollar Sign Print T-shirt, Skull Hand Black T-shirt, Simpson Print Denim Shorts, plus many more! Prices starts from $ 9.99.